The end of 2017 is here, 2018 is just peeking over the horizon and it's time to say goodbye to another year. I don't know about you, but I can't believe how fast this year has gone! If you missed the last edition, you can get up to speed here. Current read - Beck by Mal Peet 📚 Special thanks to @bookmarkthatuk for the lovely new bookmark! Regardless of certain things that have happened in the world at large this year, for me, 2017 has been a very good year. I'm lucky enough to have been blessed with some wonderful people, opportunities and experiences, all of which have left me here reflecting on how good this last year has been to me. Of course, there have been some downs as well as the ups, most notably saying goodbye to Max, our dog, back in the summer. However, on the whole, I simply couldn't be luckier. After the rollercoaster ride that was my 2016, I'm so happy to have had such a good year to follow. Here are just a few of my personal highlights from 2017. So as 2017 comes to a close and we begin to look ahead to everything that 2018 has to bring, I'm feeling happy, excited and optimistic about the future. Bring it on! How has 2017 treated you? Share your highlights from the past year with me in the comments below! Without it even seeming possible, we've come to the end of another year. Last year, I did a round-up of my top 10 books of the year which proved to be popular, but this year, my reading stats dropped dramatically as books fell by the wayside due to various other commitments like work and life. So, this year, I've narrowed it down to my top five books of the year instead. My trusty Goodreads informs me that I've managed to read only 20 books in 2017 (poor show for a supposed book blogger, I know) despite setting my goal as 50 like I have in the past. However, 20 books or 200, there are bound to be some crackers and some, well, less good books in the mix. As ever, it's been a bit of a mix, though I've had a larger focus on Young Adult and managed to get through an entire series this year too. See, it's not all bad! Note: These are all books I've read in 2017, not necessarily books that were published during the last year. Never mind a top-five place, this is worthy of being in my top two books from 2017. Phantom Limbs is a contemporary Young Adult tale about disability, young love, acceptance and loss. At times both bittersweet and achingly sad, it's earned Paula Garner's next novel a place on my must-read list for 2018. The other top two contender is Surrender by Sonya Hartnett. Another YA novel, this one is written in beautiful prose with truly outstanding descriptions that will stick with you long after you turn the final page. Haunting and atmospheric, Surrender is a definite favourite from 2017. The Lorien Legacies series was the set I decided to tackle this year. After all, you can't just go through life reading stand-alone novels! Packed with action and adventure, the fast pace had me rushing to keep up - I couldn't turn the pages fast enough! My favourite novel from the series was number five (The Revenge of Seven) but I don't think it's fair to rave about a book which is midway through a series, hence the inclusion of I Am Number Four in its place. Non-fiction and American football come together in this outstanding piece of sports journalism. The biography-style memoir details the ups and downs of a season the author spent with a high school football team in Odessa, Texas, back in the '80s. Gritty and dark yet still strangely uplifting, this is a real no-holds-barred insight into the heart of the sport. A must read for any sports fan. 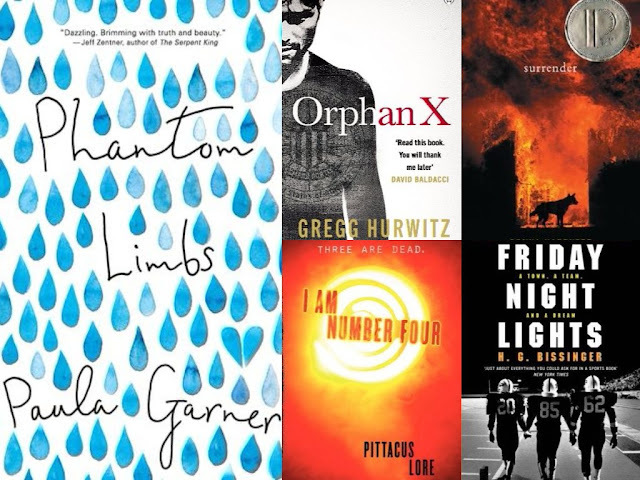 The only non-YA piece of fiction to make the cut (sorry, not sorry) is Orphan X by Gregg Hurwitz, a tense thriller jam-packed with action and adventure. It's real nailbiting stuff and a cracking read, one of those rare books that open the crime and thriller genres out to wider readers of fiction. No surprises here regarding this book's great success! Since so many of you participated in the giveaway I ran last year, I've decided to do the same this year! If you would like to enter for a chance to win your choice of one book from my top five shortlist, you can enter via the Rafflecopter widget below. 1. Giveaway closes on 10th January 2018 at 11.59pm (GMT). 2. 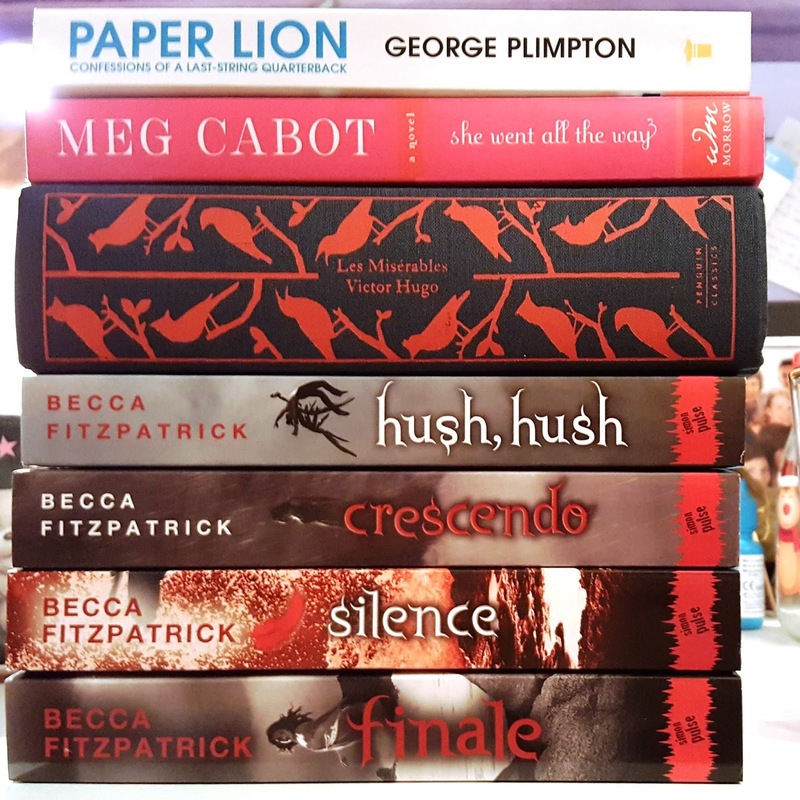 The prize consists of a copy of one of the books from my top five shortlist above, as chosen by the winner. What were your top reads of 2017? Let me know in the comments below! Written English is an odd language. Unlike languages such as French, where there are strict rules for writing, there are plenty of rules that are simply ignored or misused in English. This makes writing more difficult and often means that even native speakers struggle to make the meaning understood in written language. Despite this, English is the most used and widely spread language in the world and accounts for 80% of the information stored in the world’s computers. In a mongrel language that has borrowed from around the globe, casually Anglicising words and phrases beyond the recognition of those they were taken from, writing, and writing well, often depends upon who is reading, and what the purpose of the text is. Though there is no official ‘formal English’, it is understood that some writing in some contexts is appropriate and not in others. If English is not your first language, and you worry about your ability to make yourself understood when you write, learning the rules for written English is quite different to learning to speak. However, it is certainly possible to become fluent in the language and learn to write naturally, following similar patterns in your writing as you do in speech. A good place to start learning natural fluency is with the Effortless English Club, whose course is dedicated to teaching you to speak like the English, rather than by the rules. Interestingly, English people tend not to speak English properly. They might be aware of the rules of the language, but to be honest, most are more than happy to break these rules. The consequence is that English following the rules exactly, such as legalese, is almost impossible to read, write or even speak. When it comes to writing, this inability to follow the rules is even more prominent. And, if you are new to the language, trying to follow some sentences, especially those full of interjections (like this one) can be tough. The best thing that anyone can do to improve their written language is to read as much as possible. Just as speaking with a friend can rapidly improve your speaking and listening, reading and replicating sentence patterns will help your writing skills along. In England, there are hundreds of accents and dialects, all affecting the way English people speak (usually the differences are to be found in the vowel sounds) and their particular phrasing. This can make English speakers more difficult to follow in conversation. Written English, however, is much more standardised and it is unlikely that dialect will be used unless it is written in speech marks. While using dialect in something like an email to a work colleague is fine, you might want to double check before you send something written in dialect to another company, for example. The benefit of having such a range of dialects is that even English people can be unsure of the meaning of some words and phrases, so you won’t be the only one wondering what a barm cake is, why something is bostin or when you became their ‘luvver’. * This is a contributed post. What do you think? Share your thoughts with me in the comments below! With barely a week left of 2017, I don't know about you, but I can't believe we're almost into the New Year already. Where has this year gone? Now, I'm not usually one for making New Year's resolutions in any capacity. Hardly anyone ever sticks to them, people make grand sweeping goals that aren't realistically achievable, and within a few weeks, they've all gone to waste anyway. Personally, I prefer to spend my time actively trying to make myself and my life better rather than wasting precious time setting targets that I will never be able to reach - at least within the short term. However, this year I've decided to give resolutions a chance and try setting myself a few blog-related goals I want to do my best to achieve in 2018. There are a lot of things that I want to get from my blog, but working a full 40-hour week and doing freelance work, not to mention trying to live a life outside of work, means that the blog often falls to the back of the list of priorities. However, over the last few months, I have been making a conscious effort to get back into blogging with a regular schedule and new posts 6 days a week. It's hectic and exhausting, but it's been a great way to get me back into the swing of things and has allowed me to see which areas need the most work right now. The Writing Greyhound has been up and running since 2013 so this year will be its fifth year. What better time to try and organise the blog and work towards getting it where I want it to be? Back in the earliest days of The Writing Greyhound, posts were few and far between. A regular blog schedule was never settled upon, and the thought of finding enough time for daily posts was nothing short of fantasy. However, over the last few months, I decided to give it a go and trial regular posting. I've been posting fresh content six days a week for several months now, and although it's done wonders in terms of blog traffic and engagement, it's just too much to fit around all my other commitments. In 2018, I'm cutting back down on content. Although no schedule is set in stone, I'm aiming to halve my weekly original posts from six to three, plus hosting interviews and other less-intensive content in addition to these three posts. It may not work long-term, but for now, what better time than the New Year to give a new blogging strategy a go? Although I've always been active on my social media channels, I've not really done much in the way of engagement. I share my own posts, do my regular #ThrowbackBlogPost feature and occasionally mention or like other bloggers and authors' posts. I've seen a steady growth, but there's always room for improvement and I'd love to grow and develop my social media following next year. Across my Facebook, Twitter and Instagram profiles, I'm currently sitting at about 3500 combined social followers. By this time next year, I'd love to be at 5000. Let's see if we can make it! In my day job, I work in digital marketing. So, really, I have no excuse for my blog's utter lack of SEO and search friendliness. Before starting my current job, the worlds of digital marketing and web design were completely alien to me. While web design is still lost on me, I've learned masses about online marketing, search engine optimisation and the importance of being search engine friendly as well as providing a good user experience. Put simply, I know what to do to improve The Writing Greyhound's SEO - I just lack the time to implement it. One of my main goals for 2018 is to go back through the blog and all my old posts and refresh them in order to boost my search visibility and maintain a consistent approach across the board. I've seen many bloggers dabble with sending out email newsletters over the years and it's something that has been brewing in the back of my mind for a while now. I will admit that I still have to do a lot of research into this before I actually set something up, but I would love to create a regular blog newsletter to send out to The Writing Greyhound's email subscribers and loyal followers. Would you be interested in reading a blog newsletter if I were to set one up next year? While organisation has never been an issue for me, one thing I would like to do is to set out some clearer goals and targets to aim towards in the future. I think it's important to have something tangible to aim towards - it helps with motivation and productivity and helps you keep on track to work towards the place that you want to be. To help me get a headstart, the lovely Claire at C. Sheehan Art was kind enough to send me these beautiful notebooks. 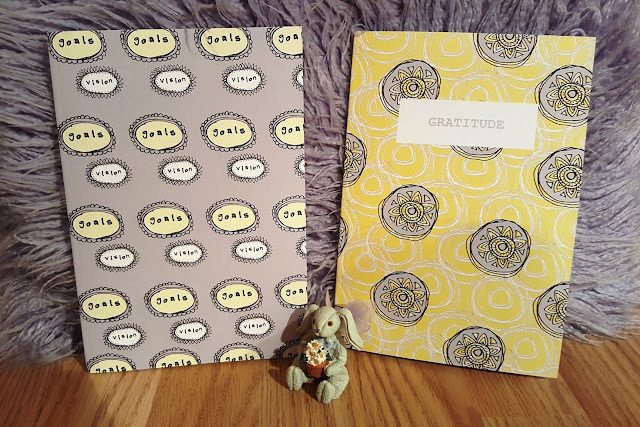 Compact and practical yet bright and bursting with positivity, I can't wait to start using them for my blogging notes, goals, hopes and dreams in 2018! Of course, these resolutions aren't set in stone. The Writing Greyhound is constantly changing and adapting, shifting around my life, my interests, and ultimately, the amount of time I have to put into it. It may not be a big blog and we may not get hundreds of thousands of readers, but I'm proud of The Writing Greyhound and how far we've come over the last five years. With a proper plan put in place and my commitment to following these New Year's blogging resolutions, there's only one thing left to say - here's to the next five years! What do you think of my 2018 blogging resolutions? Let me know in the comments below! This morning, I'm pleased to be welcoming author Tom Ward to the blog to chat about life, the writing world, and his third book titled Fires. I grew up in Scunthorpe and spent a lot of time messing about, climbing trees and reading books. It’s a small town, dependant on the steelworks, and there really isn’t much to do. There’s a lot of unemployment and frustrated people and my earliest thoughts about the place were wanting to leave. A bit later, I went travelling around Mexico and Central America for a while, then came back and studied English at Newcastle University. At the end of my time there, I fluked winning the GQ Norman Mailer Award for a short story. I got to go to New York and met Muhammad Ali, Oliver Stone and a few other people. Then I spent a month in Provincetown, on Cape Cod, and finished the first draft of what would become Fires. When I got back, there was no work, but Tony Parsons – who’d been a judge on the Mailer award – took me to lunch and told me to get a job in journalism, and I’ve been slowly plugging away at it ever since. I don’t really know. I’ve always loved reading, and it seemed natural to want to write my own stories. It’s a way of creating a new world, and also righting wrongs you see in the real world through maybe less violent measures. If I followed Nathan’s path in Fires, I don’t think it would end well. Fires is my third book and second novel. It came out November 2nd via Crooked Cat Books. It’s about a fireman in a post-industrial northern town. He experiences a tragedy at the start and sets out to find out how and why it happened. This makes him cross paths with Nathan, a young man frustrated at the lack of opportunity who decides to take matters into his own hands, burning empty buildings as a symbolic act of defiance. There are elements of a thriller about it, but it’s also about frustration, lack of opportunity and austerity. That you can do anything you want. Then re-write it in the second draft so that it actually makes sense to other people. Everywhere, really. I read a lot and watch a lot of films. But walking down a different street, or going to a new environment can help spark ideas. It’s usually just a single little idea, “what if this person did this” and you develop it from there. Novels. You’re more invested and it’s a bit more of a struggle. And it’s satisfying when you see it all begin to take shape. I have a book of short stories out, Dead Dogs & Splintered Hearts, and I think some of my best, funniest and darkest writing is in it, so I won’t stop writing short stories. With short stories, you can experiment with different facets of your personality. A novel reflects you more as a whole. Do you think that your work as a journalist has influenced your creative writing? I’ve written about all sorts of things from mental health to first person pieces where I take LSD at work to interviewing film stars (Viggo Mortensen FTW). But I don’t think it’s directly influenced my fiction. I’ve just gone freelance after two years as features editor at Men’s Health and I think if anything, being able to tell a story helps with journalism. A 3000-word feature is just a short story with some facts added in. I usually try and write the first draft fairly quickly, then refine it at lunch or after work or in the mornings for the next year or so. But it differs from book to book. I’ve written four books, two of which I’m still working on and the process differs. Some have loose, meandering plots, like my first book, A Departure, so you can go with the flow. Fires has a more rigid plot in order to set up certain events. Getting people to read it! I enjoy the process and there are challenges, but it’s all fun. Once you have this book, what can you do other than tweet about it a lot? If anyone can tell me, let me know. Just being able to slip into this world on my own and seeing the thing slowly take shape. Sometimes when you re-read a sentence and it’s actually good, that’s an amazing feeling. I think there are a lot of bad writers out there and there’s not really any harm in that, but it can be hard to cut through the noise as someone who takes it a bit more seriously, perhaps. If you’re certain writing is what you want to do, know that you probably won’t make any money unless you’re writing throwaway romance or crime thrillers. The focus should always be on writing the best sentence you can, not how the book will be received or sell. In my opinion at least. Like my all-time favourite film, it’s too hard to choose. But I do like Lord Of The Flies, Catch-22 and Blood Meridian. I became a freelance journalist in October, so I want to write big, important and entertaining articles for lots of places. Fiction-wise, I’d like to get my work to more people. For both, I just want to keep improving and growing and have the freedom to do so. Music is another big one. I play the guitar and go to as many gigs as possible. I’m also getting more and more into art, going to exhibitions and buying the odd print. Basically, anything creative that aspires to a high standard I’m interested in. Two novels and a second book of short stories. I’d like to publish one per year, for these three at least. We’ll see. The Gallows Pole by Ben Myers. It’s about ‘coiners’, outlaws in the Yorkshire moors who made their own money in the 18th Century, essentially one of the earliest organised crime gangs. It’s great, bleak and colourful. Myres really transports you right there. 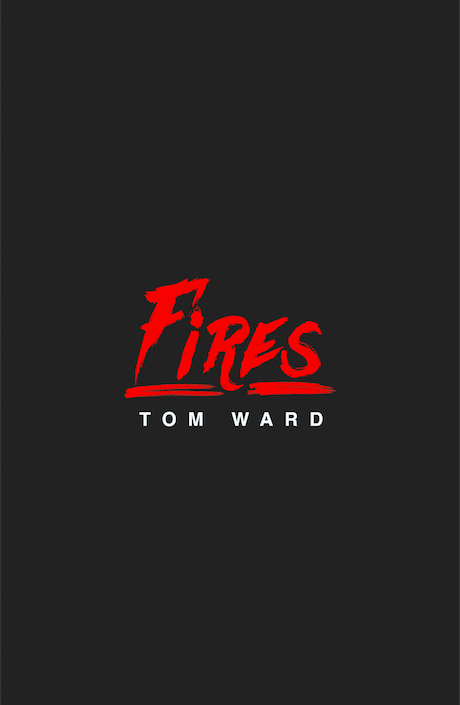 Fires is available to buy now. 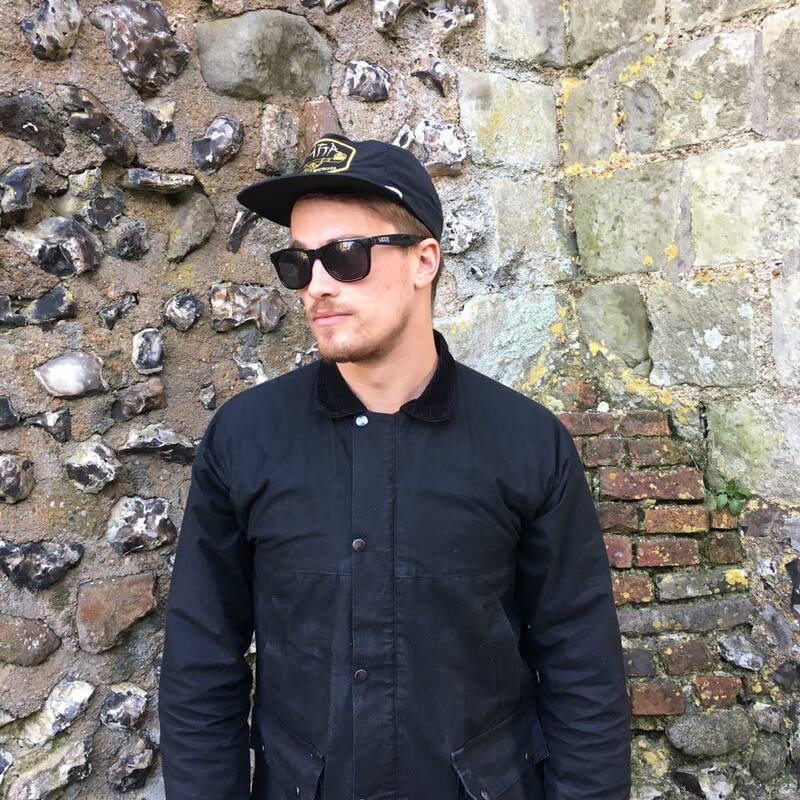 For more about Tom and his writing, head over and follow him on Twitter. Will you be reading Fires? Let me know in the comments below! America's game - the clue is in the title, surely? In actual fact, more and more people across the world are beginning to develop an interest in American football and the NFL, thanks to the sport's increasing accessibility, the International Series games and the league's desire to expand out of its home country. Here in the UK, the NFL has always been around but seems to have remained out of mainstream sports interest. If you asked a random person on the street, the chances are that they will have heard of Tom Brady and the Super Bowl (maybe they've even half-watched one before) but rarely anything more in-depth. However, despite this, the sport is still experiencing slow but sure growth here across the pond. Is it time for more of us Brits and international sports fans to take a chance on the NFL? Although it's a firmly-established sport with a long, rich and varied history, for many people, this past is unknown. This gives American football the feel of a new and emerging sport, offering a fresh perspective on the international sports scene and offering something completely different for jaded sports fans to sink their teeth into. Granted, football won't be for everyone - many people lose interest at the breaks in play or the length of the games, not to mention the omnipresent comparisons between American football and rugby, but there are still many reasons why you should give it a go. After all, if you never try it, how will you know that it's not your cup of tea? I was first introduced to the sport by someone I once knew, who in turn was introduced to it by accident, flicking through TV channels late at night (or early one morning). Not being a particular sports fan at all, I will freely admit that it took me a while to get into it and begin to understand the plays, positions, and why certain people were doing certain things. However, once I began to wrap my head around it, I appreciated the sport more and more. The thing about American football is that, for all its intensity and muscle, it's a very logical game. Each play is carefully calculated, the options weighed up and debated before the quarterback even makes the call. Both offense and defense run special plays, feints and deceptions in order to progress their team towards the end zone and the distant call of a touchdown. When it gets going, it's a fast-paced, action-packed game unlike any other. I'm now a regular fan, supporting my team(s) and heading along to watch as many regular-season International Series London games as I can afford each year. The atmosphere is truly exceptional - there's nothing like walking down Wembley Way before a game, with a sea of different coloured jerseys stretching as far as the eye can see. 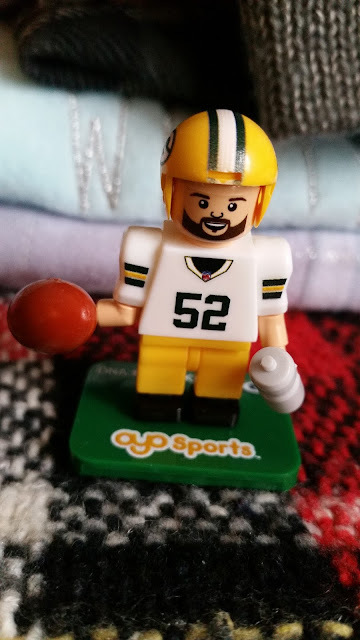 American football is the first sport I've ever really paid any attention to and the only one I hold an active interest in - for a 20-something British girl, surely that must count for something? Are you a fan of American football and the NFL? Share your thoughts with me in the comments below! 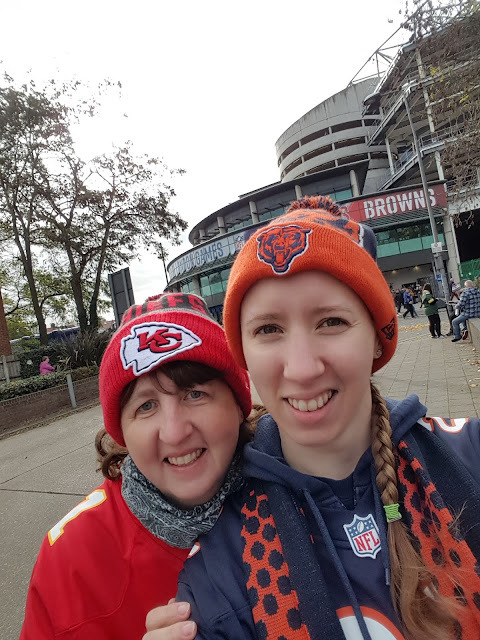 For overseas fans and those who are just starting to get into the sport, finding the right NFL team to support can be a big decision. If like me, you haven't grown up with American football, you find yourself beginning with a clean slate, free to make your own choices and support a team of your choosing. But, to coin a popular phrase, with great power comes great responsibility, as the team that you choose will stick with you throughout the rest of your life as a football fan. So, as a football rookie, with such a great weight behind one simple decision, how should you go about picking an NFL team to support? Do you have friends who are into the sport? Whether they are the ones who first introduced you to football or you're all on the journey to fandom together, sometimes the easiest way to pick a team is to follow your friends' guidance. Long-established fans of the sport will be able to give you comprehensive potted histories of their team, enabling you to make a better informed (though, perhaps, slightly biased) decision about who to support. However, on the flipside, there's also a case to be made for friendly rivalries between friends who support different teams, or even direct divisional rivals! Another option is to ignore the raised eyebrows and jump on the bandwagon of one of the better teams of the season. After all, who doesn't like to back a winner? Whether it's a Hall of Famer, the GOAT, or even just a good team on a winning streak, sometimes, jumping on the bandwagon of success is the best way to guarantee a few great games worth staying up for! Alternatively, you could also pick out a team from the lower end of the table with a season that isn't going so well. Supporting the underdogs can be a good way to stick with a team from the worst of times to the best, and when a win is rare, securing that extra win can make for an even sweeter victory. If you're an indecisive person, no matter how hard you try to come to a decision, you're likely to just keep going round in circles. Instead of flailing about umming and ahhing about this team or that team, why not just cut to the chase and give yourself the benefit of the doubt with a random draw or fun quiz? No more confusion, no more mixed loyalties and one less decision to be made. Sorted! Seen a player you like? Admired someone's play style? Sometimes, it's easier to pick up on a favourite player before a favourite team. If this is the case, luckily, it's then much easier to find your perfect team to support! A good player is the calling card of a great team, so if someone has caught your eye, then the chances are that their team are likely to make a good match for you. Grab some snacks, settle down on the sofa and flick on the TV to catch one or two of their team's games - are you ready to cheer them on yet? Last but certainly not least, another popular way for non-Americans to choose a football team is by singling out a city or state they like and simply supporting that area's local team. Whether it's your dream holiday destination, a favourite getaway location or something else entirely, location can play a big factor in influencing newbie's opinions on teams and franchises. Just take the Packers, for example, and the unwavering loyalty they receive from their fans back home in Wisconsin! No matter how you go about picking your team, make sure to choose wisely and that you're happy with your decision. After all, this is the team that you will stick with through thick and thin, no matter what happens, so it's important to get it right! Are you an American football fan? How did you choose your favourite NFL team? Let me know in the comments below! When was the last time you danced like no-one was watching? Giving in to your desires and feeling completely carefree, forgetting that you're surrounded by people and not even paying a thought to what they might possibly be thinking of you - that's the feeling you get when you don't have a care in the world. In that moment, you feel completely and utterly alive, your mind, body and soul are at peace and you simply couldn't be happier. Everything else melts away and you are at one with your surroundings; it's bliss. However, for many people, just the thought of doing something that might draw unwanted attention to you in public brings on an attack of nerves. For those with social anxiety, doing anything extravagant or even just out of the norm can be an incredibly scary experience, which is why so many of us choose to avoid these situations and try to keep ourselves to ourselves as much as possible. I've always been a shy and reserved person, preferring to stay under the radar and keep quiet instead of joining in with crowds and being loud or rowdy. I'm a listener rather than a talker, passively participating in conversations rather than being the life and soul of the party. When left with strangers or people I barely know, I clam up and my brain empties of ice-breakers and things to say, leaving me with an awkward silence or monosyllabic answers to any questions that come my way. So when I attended a concert earlier this year and saw a small group of women and children standing up, prancing around and throwing their limbs about in all manner of dance moves, I never in a million years dreamed that that would someday be me. During the performance, I couldn't help but keep watching that little group, looking on as they found their rhythm and sang and danced along. They looked completely relaxed, totally happy and entirely carefree, and somehow, I found myself wanting to feel that emotion. Fast forward a few months and I found myself at an open-air festival with my boyfriend. Despite it being the middle of summer, the warm weather had upped sticks and left, leaving us with unrelenting rain resulting in everyone being completely soaked to the bone. We stuck it out in the crowd, saving our space at the front of the barriers for the majority of acts, but before the headliners came on we just had to get out of there. We were dripping wet, soaked through and freezing cold. My fingers were so wrinkled up from the constant rain that I could barely unzip my purse to buy two thoroughly unappetising but warming watery hot chocolates from one of the few catering vans still open for business. He wanted to leave - we were both completely fed up with the weather by this point and had a long drive home ahead of us, but I wanted to see at least some of the headline set before we left. We agreed to stay for a few songs, standing right at the back of the crowd with the other stragglers, a far cry from the pushing and shoving that comes from being right in front of the stage. As the Kaiser Chiefs came on and the familiar songs began, we started to cheer up. Perhaps it was being out of the crowd or finally having a hot drink inside us, or maybe it was just the atmosphere, but suddenly, our predicament didn't seem quite so bad after all. In the middle of a dark, muddy field, dripping wet and soaked to the bone, we joined hands and began to dance. It wasn't anything spectacular, or even any particularly recognisable dance moves, but to us, it was special. As we danced to the beat, sang along to the songs we knew and spun around, everyone and everything else disappeared and just the two of us and the music remained. It was different, it was new, it was special; one of those relationship-defining moments that I will remember for the rest of my life. On that rainy summer's day, I danced in a field like no-one was watching, completely carefree yet surrounded by people. I became that little group of people at the concert, I came out of my shell and couldn't have cared less what anyone thought of me. Thanks to my boyfriend, I forgot to be self-conscious for the first time in my life, and it's for that reason that I'm here writing this post today. Love isn't about going through the motions or saying the words, love is kind and caring and supportive, yet love also pushes you to do things you never thought you would do. Love is taking the leap of faith and trusting someone to be there to catch you when you fall. It may not be a big thing to many people, but to me, love will always be about dancing like no-one is watching. Have you ever done something that scared you? Let me know in the comments below! Over recent years, the price of the average cinema ticket has seen a massive hike. While going out to the movies is still a popular activity, this popularity is gradually dropping as people give the big screen a miss in favour of watching their films on DVD or streaming services. However, this is a big shame, as a trip to the cinema provides a much more special, cultured experience. You get to share all the fun, excitement, action and adventure with fellow movie-goers, watching the film from the shelter of a darkened theatre and becoming totally immersed in the movie experience. Of course, the cinema also has its drawbacks (prices aside, for the time being) and some people do prefer to stay home and watch films at their own pace from the comfort of their own homes. But in spite of this, the cinema is a real cultural institution; one which is becoming increasingly at risk of dying out due to the ever-increasing ticket price rises. To put things into perspective, I've come up with a short list of just a few things which are cheaper than the average cinema ticket in the UK today. From the fun to the essential, here are my thoughts! A cup of coffee is often used as a comparison by charities looking to guilt people into donating to their cause, but it's true that the price of your humble cup of morning coffee is a great place to start. Whether you prefer a bog-standard coffee or a fancier, custom drink, the fact remains that you could buy at least two hot drinks for the price of a typical cinema ticket. Food for thought? Sticking with the foodie theme, when was the last time you went out for dinner? Whether it's a relaxing takeaway, a restaurant date or a meal out with friends or family, going out for dinner is a great way to escape the usual kitchen chores for a night! Depending on where you go and what you eat, you can easily get a filling meal for less than the cost of a standard cinema ticket. Dinner and a movie? With prices like these, it might just be time to give the movie a miss. Granted, as a book blogger, I may be a little biased here, but finding a good book to get stuck into is one of the best ways to relax and spend your free time. Unless you're after a just-released hardback, many paperbacks and downloadable books are both affordable and enjoyable. If you're really looking to save money, you could visit a second-hand or charity shop, or even better, head down to your local library for a wealth of reading materials on hand for free! While we're sitting here debating the cost of cinema tickets, it's easy to forget about the many people around the world who are less fortunate than us. Whether it's the homeless or people who are struggling to get by in our own communities or those in need further afield, sometimes we all need to do our bit to help out. Whether it's dropping some spare change into a collection box or setting up a regular donation, just think - how much do you really want to see that movie? Finally, it's time for the most interesting one of the five. Although the price of film streaming subscription services like Netflix do vary, many monthly memberships will cost you the same, if not less, as one single cinema ticket. Why pay to see one film when you can pay less and have access to a whole host of movies and TV shows at your fingertips? Of course, this is just a fun list, but the reality is that the situation is getting worse. 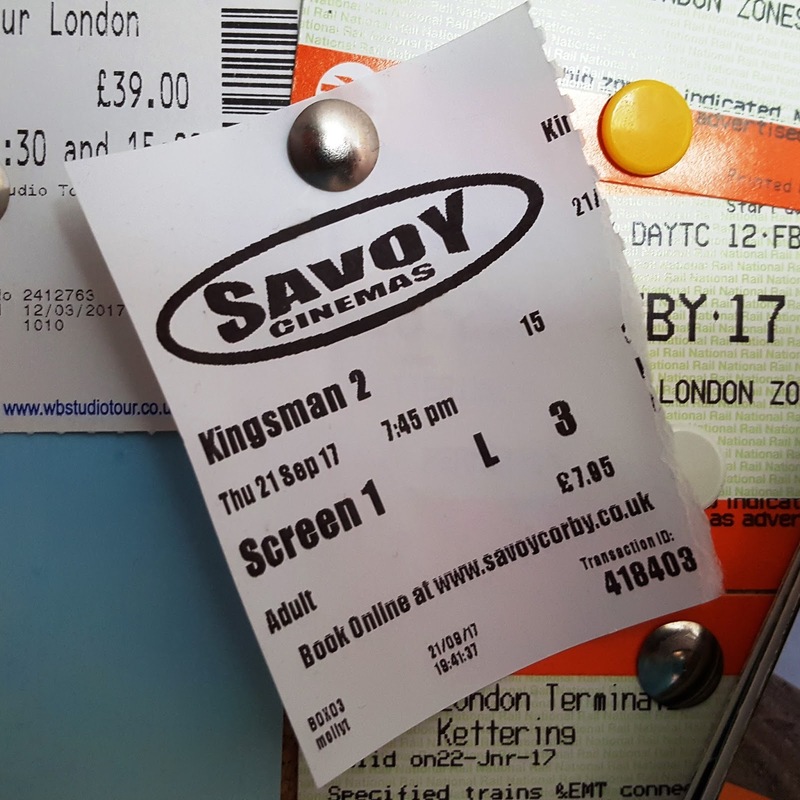 Thanks to the price hikes, many people are simply getting priced out of a visit to the cinema, with what used to be a fairly regular activity now being reserved only for the most special of occasions. Couples, friends and families are avoiding the cinema and waiting for films to be released on DVD or streaming services - if something isn't done soon, will the money-grabbing people at the top end up spelling the beginning of the end for UK cinema? One thing's for sure - between cinema ticket price rises and the increasing popularity of big-budget TV shows like Game of Thrones, we're fast approaching a crisis for the future of big-screen cinema here in the UK. What do you think? Should cinema ticket prices be lowered? Share your thoughts in the comments below! It is no accident that most of the world’s belief systems are based on narrative. Whether a novel, film, oral folktales, a news story or specifically religious writing, stories help us make sense of our lives. I didn’t set out to develop that theme in The Tides Between. The concept of the novel started with a character. In this instance, a young girl called Bridie who had lost her father in tragic circumstances. I had this idea that a creative young couple would help her to come to terms with her loss during the long sea voyage to Australia. 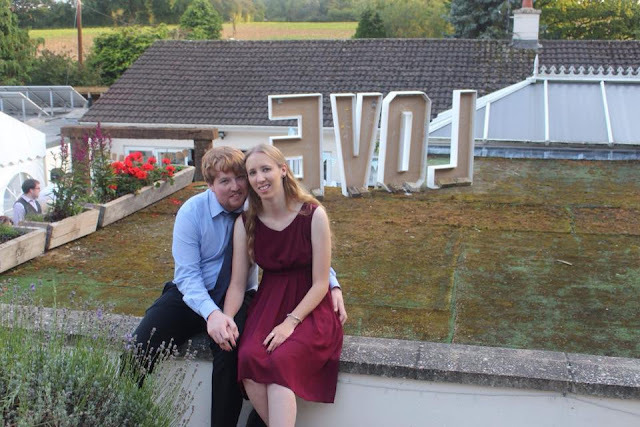 Through a serendipitous process involving my mother’s Welsh heritage and my childhood emigration to Australia, my creative young couple became Welsh storytellers. I’d like to say that the themes of my novel emerged along with that decision. I read the Mabinogion and a host of other Welsh fairy tales and found myself entranced. These were my stories, part of my heritage, and I hadn’t even known they existed. Despite this, I didn’t quite know what to do with the wealth I had uncovered. 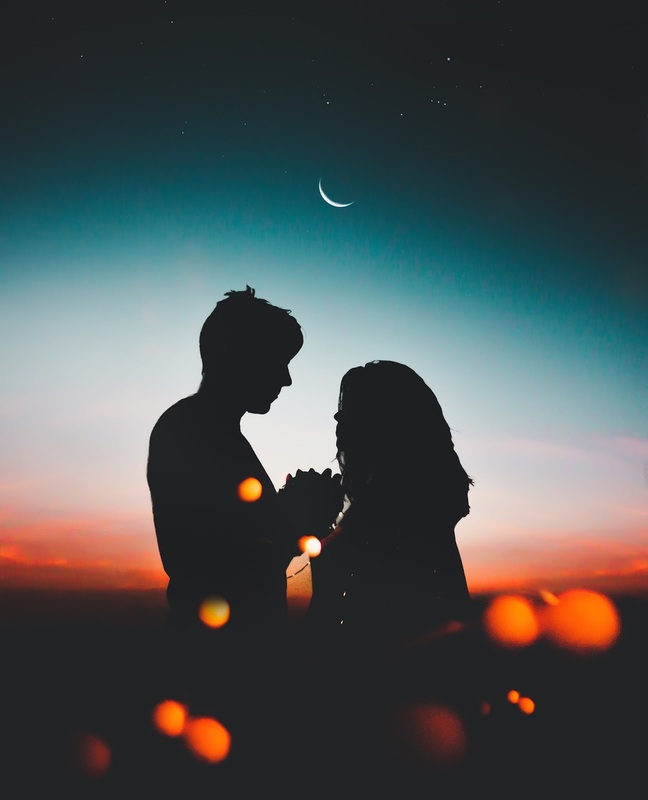 In my early drafts of The Tides Between, I simply use the stories to establish Rhys and Sian as storytellers and to forge a connection between them and Bridie. The individual tales were quite incidental to the plot. However, during my re-drafting, I realised that the stories had to work harder if they were to earn their place in the narrative. Rather than being brief and incidental, they had to become central to the novel. In the end, I decided each story had to work on three levels. As I re-worked the stories in The Tides Between according to the above criteria, my novel’s themes began to emerge. Here is a section of the novel in which Bridie reacts to Rhys’s telling of the traditional Welsh story of Llyn y Fan Fach. Bridie didn’t know how long she sat there after the story finished. An age it seemed - with her chest heaving and her hanky sodden, thinking of babies called home before their time, her dad’s long and bitter illness, his strange, turbulent moods, Ma’s even-now bitterness. She became aware of Siân’s soft humming, Rhys’s dark, considered gaze, the knot of onlookers drifting away. She sniffed, dabbing at her eyes. Strangely, like its embedded fairy tales, The Tides Between also works on three levels. On the surface, it is a simple coming-of-age story. A girl becomes a woman. But like Bridie, Rhys and his wife Sian, have also been let down by their fathers. So, on another level, The Tides Between tackles issues of failed marriage, blended families, abuse, and mental health breakdown. However, running like a thread beneath these themes is the importance of stories. I didn’t set out to develop those themes. They grew out of the relationship between my characters. However, in keeping with Rhys’ definition of a ‘true story’, they reveal something of my own journey. For example, when Rhys says: ‘Painful, it is, when the words that once brought comfort lose their voice. It’s not the stories that are at fault. Or that we were foolish to believe. Only that we must learn to see with different eyes,’ I am expressing something of my own, evolving relationship with a group of ancient writings commonly known as the Bible. Similarly, when another character reflects: ‘There were no easy answers only love and people who were complex,’ I am speaking out of my own growth in understanding – an understanding that life is not black and white, that some of the easy answers I once accepted are no longer satisfying – and that is okay because love and life and even faith are beyond simple understanding. To tell a story from the three viewpoints and to break it up with embedded Welsh fairy tales was a risky project for a debut novelist and it may well have fallen flat on its face. Fortunately, I found a publisher who was willing to take the risk and people are engaging strongly with the stories. I will leave you with the beginning of a segment from Llyn y Fan Fach. Though you’ll have to read the novel to see how it applies to Rhys and Bridie’s lives. Indeed, how it works as a metaphor for what is happening on the ship. Siân began to hum. Arms on his knees, Rhys fixed his gaze on the deck. Bridie saw the nervous swallow of his throat, his too-tight fists, heard the sudden sharp intake of his breath. ‘High up in a hollow of the Black Mountains is a tiny, mysterious sheet of water pressed into the surrounding crests like a giant’s thumbprint. Lyn a Fan Fach, people call it, the lake of the small peak. Once-upon-a-time a widow lived in the shadow of those dark peaks. A poor widow who, having lost her husband to the sword, vowed her son, Ianto, would not earn his bread by soldiering. ‘Being a gentle, sensitive young man, Ianto had no lust for battle. He liked nothing more than to graze his cattle on the shores of Llyn y Fan Fach. The light was different there, he told Mam, the air thinner. Sometimes, as he sat in the shadow of those dark peaks, he fancied he heard the Fair Folk singing. ‘It happened one day, as Ianto wandered the shores of the lake, that he saw a sight to make him tremble. There, perched on top of the water was a maiden - a most comely maiden, combing her long dark tresses. ‘Now Ianto might have been a dreamer but he was no fool. Closing his eyes, he counted to ten, certain, this was nothing but a trick of the light on him. Imagine his wonder, therefore, when he opened them, to find the maiden still present. Indeed, if he was not mistaken, she was even lovelier than he imagined. ‘Ianto fumbled in his pack for the hunk of barley bread Mam had baked for him that morning. Burned black along one edge, it was hardly an inducement for one so comely. But Ianto knew better than to approach the Fair Ones empty-handed. When Elizabeth Jane Corbett isn’t writing, she works as a librarian, teaches Welsh at the Melbourne Welsh Church, contributes articles to the Historical Novel Review and blogs. Elizabeth lives with her husband in a renovated timber cottage in Melbourne's inner-north. She likes red shoes, dark chocolate, commuter cycling, and reading quirky, character-driven novels set once-upon-a-time in lands far away. The Tides Between is available to buy now. 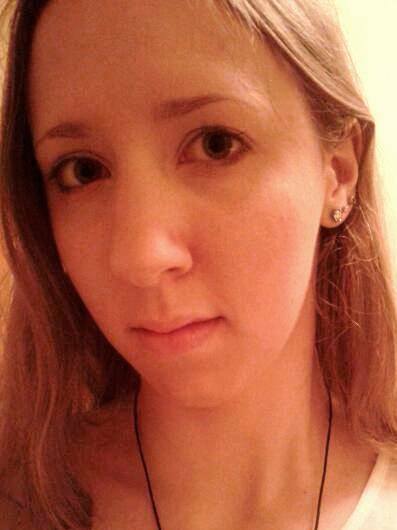 For more about Elizabeth and her work, you can visit her website or find her on Facebook and Twitter. Why do you think stories are important? Share your thoughts in the comments below! Back in September, I attended the wedding of someone I went to school with. 'Congratulations to the happy couple, but why is that a big deal,' I hear you ask. Well, in itself, it isn't. Weddings are just part and parcel of life, a happy union between two people in love. They're romantic, they're sweet, and they're a fun social event offering a chance to catch up with people you rarely see. So, with that in mind, why was this particular wedding different? The answer to that question is a simple one, yet one which I think many people will be able to relate to - this was the first person from my close circle of friends to tie the knot. The moment that someone in your friendship group takes the plunge and walks down the aisle, the dynamic of the whole group changes. No longer are you a group of young people reminiscing about old times and teenage years, chasing after hopes and dreams and still working on finding your footing in life. Instead, people are starting to settle down, find partners, buy houses and, now, get married. Of course, marriage is a big commitment, and it's great when a person you care about finds someone to spend the rest of their life with. You're over the moon for them, ready to celebrate alongside them as they exchange rings and begin the next stage of their lives together. But in the back of your mind, there's that niggling thought - no longer are you children or teenagers, your childhood is gone forever and as a group, you're now entering the next phase of life. Growing up is a strange concept; something that is as familiar as navigating the streets of your hometown yet completely new, uncharted territory. As life goes by it's easy to forget that we're getting older - our bodies age while our minds remain unchanged. Often, years can pass without you really understanding how different things have become. I don't think anyone really realises that they've grown up until moments like this when the thought suddenly crosses your mind, completely contrary and out of the blue, yet blindingly truthful. Growing up isn't reaching a certain age or doing a particular thing; growing up is the realisation that you've come to the next stage of your life. As we all sat there enjoying that warm September evening, dressed in our finery, laughing, talking and clinking glasses, that was the moment when it hit me - like it or not, adulthood has arrived. Writing fiction is quite weird. Don’t get me wrong, telling stories is as human as putting melted cheese on things, but there are plenty of true stories to be told. Riveting tales of courage, adventure, romance, and all the evil you could ever stomach. Stories that actually happened to real people, chock full of life lessons, that can be far more outlandish than even the most creative minds can concoct. So why is it that we insist on making stories up? And even more confusingly, why, as readers, do we attach to fiction as forcefully as a mother bear superglued to her cubs? I’m going to wager it’s fiction. Non-fiction has tremendous value and hey, your answer might be a memoir or business book or something scientific (I said my great uncle was the magician, not me!) but when I ask this of people, ninety-nine times out of a hundred the answer comes back fiction. All beautiful, wonderful, tremendously invaluable lies that someone made up. So, what the heck, humanity? I’ve heard it said that writers make things up in the pursuit of discovering truth, and to me that sort of sounds like eating lots of T-bone steaks in the pursuit of lowering your cholesterol; but for some reason, it works. The reason why it works is above my pay grade, but perhaps it’s because fiction softens truths and makes them easier to brush against the skin. Perhaps fiction distils truths to something palatable so your body doesn’t immediately vomit them all up. Perhaps it’s because some truths are hiding behind the stars and moons and galaxies, and although the arm of nonfiction is long, the reach of fiction is inescapable. Either way, both sides of fiction - reading it and writing it - have an incredibly large draw to so many people. I can only speak for myself, but I thought it might be interesting to discuss why. 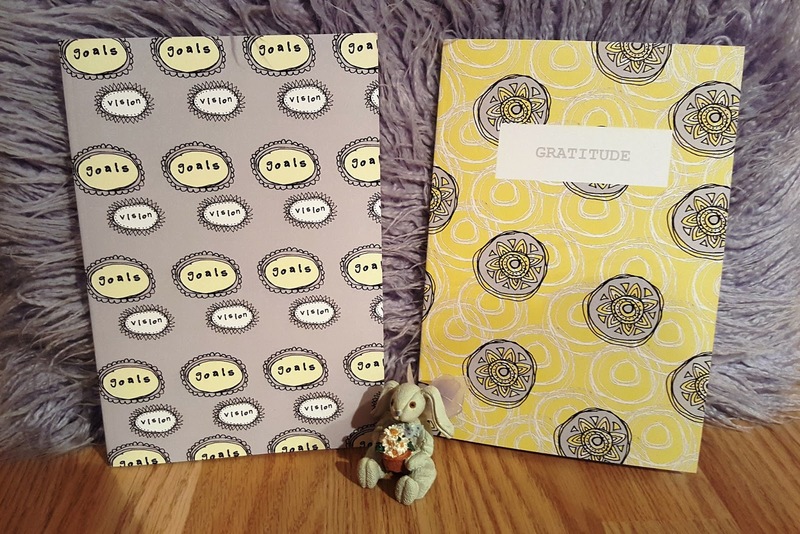 Here are some of the things that have steered me towards a life of writing. Here are the things that write me. Writing does not come easily to me. Pretty much every time I open my manuscript I think: “I’m going to screw this up.” But resistance breeds meaning, and every time I safely return from the soil of fiction I bring back a tiny seed of purpose. I can think of no better way to deal with the heaviest emotional chains than to pound them flat and stitch them into the page. Sometimes seeing them there is an act of opening up; sometimes seeing them is closure. There’s far more to your mind that you think, and writing is the best way to send Alice into the vast wonderland of the unconscious. The page surprises me every day. Considering I don’t want all of my characters to sound like me (something I struggle with daily) I actually have to get out of my cave and go interact with human beings. As a chronic introvert, this is invaluable. Writing a book is more or less the spelunking of the imagination. It’s a vast and illogical place, and it’s nice to know there are others down there beside you, smiling against the darkness. Looking at pictures is like stepping into well-worn shoes. Looking at old writing is like squeezing into the entire ensemble. Like seeing the Basilisk through a camera, some traumas are less deadly when viewed through the lens of your own writing. Unlike other creative mediums, writing costs practically nothing (other than time and effort). Even if you’re sans computer, pen and paper usually aren’t far away, and neither is a succulent story waiting to be plucked. As the manuscript grows, so do you. What’s also interesting to note is that when the manuscript shrinks back down (the dreaded editing process) you still grow, possibly even more. And if your process feels awful, it’s still fertilizing your soul. Because only here there be dragons. Having spent most of his life trapped in the frozen tundra of upstate New York, Daniel A. Cohen decided to dream himself somewhere new. It was from this quest for heat that the scorching world of Coldmaker was born. In addition to his writing career, Daniel is a semi-professional saxophonist in Austin, Texas, spending his days in front of the page and his nights in front of crowds. Sometimes the crowds cheer, and Daniel often wishes the page would do the same. Coldmaker is available to buy now. 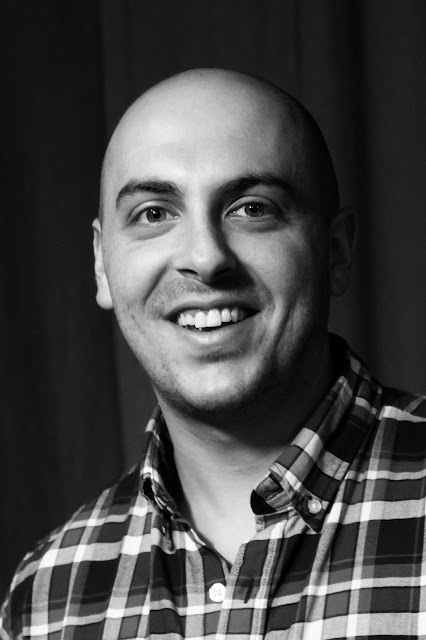 For more information about Daniel and his work, you can visit his website or follow him on Twitter. 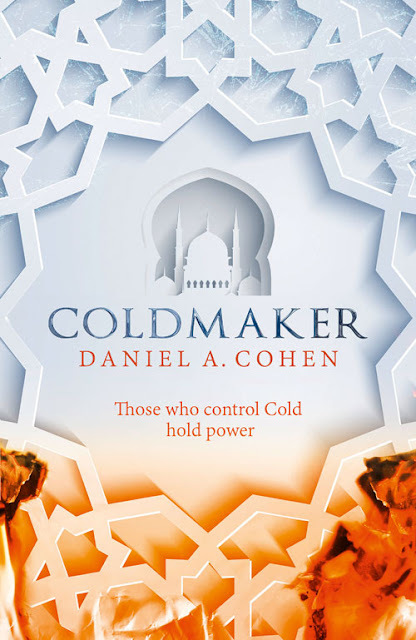 Will you be reading Coldmaker? Let me know in the comments below! When the weather is cold and Christmas songs are played on repeat almost everywhere you go, sometimes, all you want is something fresh, exciting and a little different to listen to. Luckily, I have the perfect antidote to cure your winter music blues - say hello to Almost Autumn. 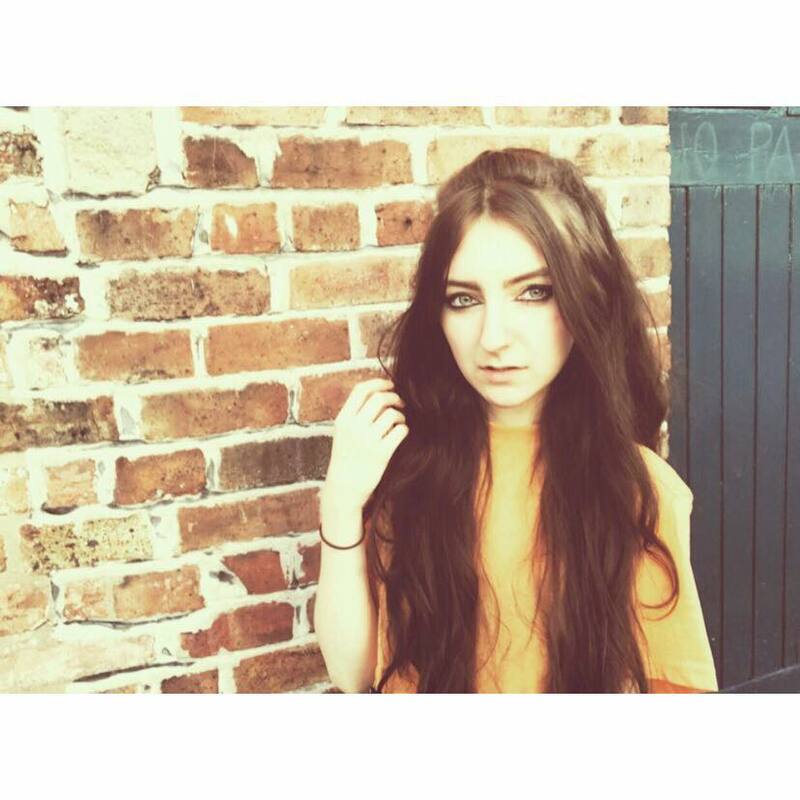 Almost Autumn is the performing name of Joelle-Marianne, an up-and-coming singer-songwriter from Liverpool, UK. At the tender age of just 20 years old, Joelle is in her final year of studying towards a music degree, an impressive feat considering the high quality of her songs already. Working primarily within the pop, folk, and indie-acoustic genres, Almost Autumn is an audio diary project, recording Joelle's daily life from a musical perspective and documenting the student experience from a whole new angle. Love, lust and heartbreak are just a few of the signature themes, set against a shining city backdrop to a classic, feel-good pop melody and catchy lyrics. It's fresh, it's different and it's unique - the perfect way to stave off the cold winter weather. It's clear that Joelle is certainly no stranger to the music scene, appearing in various bands and projects throughout the North-West music circuit for over seven years. She won her place at the prestigious Liverpool Institute of Performing Arts after appearing live on BBC Introducing and from there Almost Autumn was born. Perhaps even more remarkably, each and every track was recorded from the confines of her student flat in Liverpool city centre, a fact which only further contributes to the homegrown student-led feel of the music. Almost Autumn's debut release is 'A Little More', the perfect soundtrack for the transition between autumn and winter. It's simple and sweet yet memorable in all the right ways, serving as the ideal introduction to her sound as we enter the New Year. You can find Almost Autumn on YouTube and Bandcamp, or to catch up with Joelle herself, follow her on Instagram, Facebook or Twitter. What do you think of Almost Autumn? Let me know in the comments below! If you’ve been out and about and caught the travel bug, then the chances are that you’ve probably started a travel bucket list. Throwing caution to the wind and wondering how you will ever be able to afford to travel to all of the places you want to visit may be an issue, but with some careful planning and preparation, travel is easily accessible to all. If you are in the process of creating your travel bucket list, here are three destinations that you should definitely not miss off your list. Whether you are a thrill seeker or a relaxation lover, these destinations have that something special and are guaranteed to make you fall in love with them. If you are a lover of Game Of Thrones and prefer to seek out action-packed moments and thrill-seeking adventures, Iceland is the place to visit. You can relax in a hot spring whilst lying under the stars waiting for the Northern Lights to make their spectacular appearance. There is even a scientific equation for working out the best month to see the Northern Lights, so you have the best chance of seeing them. You can also take an adventure into Langjokull glacier, descend into a dormant volcano, and dive between continents in Lake Pingvallavatn. Your itinerary is sure to be full to bursting with fantastic once-in-a-lifetime opportunities. Bled is Slovenia’s most picture perfect, postcard-worthy, place to visit. If it’s not the emerald green lake that takes your breath away, it will be the medieval castle that just holds on to the edge of a rocky cliff. This destination has great activities for thrill seekers - there is cliff diving, white river rafting, stand-up paddle boarding, paragliding and so much more. You can even take a helicopter ride to see the spectacular views from in the air. For the less adventurous, there are plenty of hiking trails, biking routes, and sightseeing tours to keep you busy. No one will be bored at this picturesque destination, and everyone will have some amazing memories to take home, as well as enough pictures to keep their Instagram accounts busy for months to come! Paris is known as the city of love, and there is a very good reason for this. Standing outside the Eiffel Tower under the stars, just as it begins to sparkle, is one of the most magical moments you will ever experience on your travels. There is nothing quite like walking through the Paris streets at night and experiencing the amazing buzz of culture the city has to offer. For Disney fans, Paris holds the famous Notre Dame - minus the hunchback - and for the musical lovers, you can stand on the airy grates outside The Moulin Rouge and have your own Marilyn Monroe moment. There are also the breathtaking Sacre Coeur and the Champs-de-Elysees for the ultimate luxury shopping experience. Of course, this is by no means an exhaustive list, but these are top destinations that are close to a lot of travel lover's hearts. If you are struggling to decide on where to jet off to next, going to one of these three destinations will ensure you have a fantastic time with zero regrets about the experience. Have you visited any of these destinations? Let me know in the comments below! It's my third and final feature as part of this year's 12 Days of Clink Street, and I'm interviewing author D.N. Carter. Read on to discover all! My father’s profession meant I moved a lot in my youth but spent many happy years living in Cyprus, it being the place where my interests in all things historical and mystical really started. I am now in my early fifties and fortunate to be fit and healthy enough to still undertake expeditions out into the wilds, whether desert or jungle. I am a design engineer by profession but a passionate historian and researcher into mankind’s past and future potential. That is what motivates me the most. I thirst for the truth and will leave no stone, or document unturned or unopened. I will, and have in the past, reappraised information if new verifiable information comes to light. Remaining open-minded at all times to all possibilities is the only way to learn and grow. My unquenchable sense of adventure has led me to serve in the military, organise expeditions to some of the world’s most inhospitable locations, as well as participate in such sports as parachuting, white water rafting and canoeing to mountain climbing and caving. But as much as I love to travel, I am in fact a home loving individual. At school when I wrote a story for my English teacher doing my A-level preparation. She gave me a double ‘A’ star mark...my first ever. She marked the first few pages then stopped marking so she could read the rest and enjoy it. It made her cry. I realised then the power of words. I wrote my first poem shortly after that which resulted in me getting my first serious date...made her cry too. She never did say whether it was because it was so moving, or so bad! It is hopefully not just a powerful love story, but a tour through history and religion. Some have said it is like Game of Thrones meets The Da Vinci Code for its revelatory depth of information, mystery, intrigue and action – but for real! The story begins beneath the City of Jerusalem as the original founding Knights Templar recover ancient artefacts left by a former highly advanced civilisation, the repercussions of which led to those secrets being ruthlessly guarded as well as suppressed. Outremer addresses questions rarely asked and sheds new light on pressing issues that fuel the fires of religious division and demonstrates how the Crusades helped shape the relations between Christian and Muslim countries to this day. 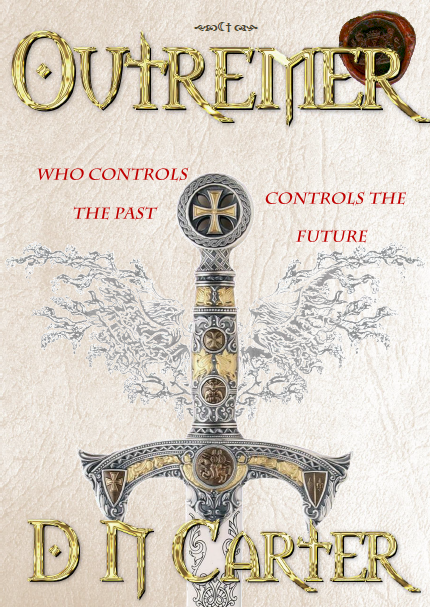 Informative yet never descending into the sensational, but not avoiding the horrors either, Outremer concludes that there is a way out of the dogmatic quagmire and a way forward as well as reveal hitherto unsuspected secrets that affect all of us. Outremer is very heavily based upon real events and people focusing upon the lives of Paul and Alisha and their very personal journey, growing from childhood into adulthood, and their battle to survive amidst the carnage of war and political upheavals that surrounded them. It weaves between the threads of our reality and other realms, from ancient megalithic sites to Druids, Sufi mystics, the Magi of the east to the secret political arm of the Knights Templar and the Isma’ilis, the Assassins! It’s a tour across Britain, Scotland, Ireland, France, Syria to Jerusalem and Egypt as you walk through the pages of history in the footsteps of knights and pilgrims alike. (Each volume is over 350,000 words with images and illustrations). Many ancient mysteries from the ‘Holy Grail’ are covered, to the so-called mythical Atlantis, ancient civilizer gods, dragons, ancient flying devices of myth, to angels present throughout history, to who and how the pyramids at Giza were constructed and why. There are genuine codes of antiquity and mysteries revealed within Outremer (all verifiable) as well as a modern code that leads to a real treasure if decoded. I have based Outremer very heavily upon real people and genuine historical records of the events during this period of time, but by writing it as fiction, I was able to let my imagination run free...whilst hopefully still keeping it real. As fiction, I was able to indulge my own understanding of the period, but also incorporate so-called otherworldly facts that would have otherwise seemed utterly ridiculous, perhaps unbelievable and out of place in such a book. After experiencing several very lucid and vivid dreams whilst living in Cyprus, I became inspired to learn as much as I could about ancient mysteries and the hidden codes that appeared obvious to me...and my frustration that others simply did not see them, and those that did just did not care. This inspired me further, to seek out ways or some method that I could hopefully stimulate an interest in what I was seeing and learning, if only so others could check the validity and authenticity of my research. I wanted people to challenge what I thought I could see; that our past is not as we are taught. That it stretched far further back into antiquity and that it is more curious and mysterious than most people dare to suppose. Trying to get people to look at the evidence and to ask questions is what inspires me. That was and remains my main inspiration. Did you find it difficult to write about such well-known parts of history, like the Crusades and the Holy Grail? Having grown up with a love of history and having read just about all and everything I could ever lay my hands upon regarding the Crusades, Grail romances, the mysteries of the Middle East and India etc, I was fortunately already pretty much deeply engrossed in the period. Double checking facts, when certain facts were presented by different sources, such as Arabic chronicle versions set beside Latin versions that differed, caused perhaps some difficulty, as in trying to establish which ones were more factual, historically accurate or exaggerated. I had to, therefore, seek several sources and other contributory evidence to establish a definitive account of an action or event. Example being the surrender of Latin forces after the Battle of Hattin 1187. Differing accounts present different versions. But I believe I established, in my mind at least, as near to the actual event as possible after cross-referencing several authentic written accounts from the period. Perhaps the most difficult aspect of writing about this period was the use of swear words or modern words that appeared too out of place. I had to compromise when it came to using modern words; one example being ‘homosexual’ as this was a word not even used until centuries later. Plus locations such as Ireland, Scotland, Iraq, Turkey etc are all new names, so I had to insert these modern names in brackets the first few times I mentioned a location in its 12th-century name so the reader knows where I am referring to. What draws you to writing about the past? I have always had an affinity to this period, especially the secret and mysterious Knights Templar, their clothing and equipment plus a deep fascination with ruins, mainly castles. It began when I was nine years of age. I went to Fountains Abbey in Yorkshire on a school trip. I loved the architecture and the feeling of spiritual peace that I sensed there. That trip revealed I had a natural talent for drawing architectural scenes. I visited many castles and ruins and my fascination simply grew from there. As a youth, I was lucky enough to travel to several major castles in Cyprus, Syria, Jordan and Egypt. The beauty, scale and history of them utterly captivated me...but gave me a sense of sadness too for all the carnage of war that was visited upon them and their occupants. Consequently, I asked myself, why, why would people fight wars of such unbelievable brutality? That question was rammed home after learning how the Christian Crusaders captured Jerusalem in AD 1099 and massacred all of its 70,000 inhabitants regardless of religion. I seriously questioned the real motives for the first Crusade with a deep sense there was far more than we are taught. Many more questions would follow and so my research began in earnest ...and now in my mid-fifties I am still researching and as one question is answered, still more arise. I feel an affinity for the 11th century period but also ancient India and Egypt. I personally feel that the events that unfolded during the period of 1045 to 1194 were instrumental in shaping our world today. I believe the majority of people are simply not aware just how momentous the events of this period were, and will prove to be. It is another reason why I chose this particular period to set Outremer. Back in 2005, I had the basics of the story behind Outremer; the main characters and the main facts I wished to convey. I penned a large 175-page synopsis of the chapters and what each one should contain. I already had most of the research in my head from my years of studying so it was not a lengthy process to put together. When I sat down in 2013 to start working upon the actual book, more details came to light as I crossed referenced information, which in turn led to additional scenes and scenarios being added, but also new characters as the plot began to develop in different directions I had not even previously considered. This is why my idea of a single volume of 140,000 words turned into 1,247,000 words, and four separate major volumes. When I actually write, I just type away at what I am trying to say and reveal. I write as if I am talking to someone sat opposite me. I have never been stuck for words...so far, nor suffered writer's block. Perhaps I write too much, but I view that as not a bad thing. I always go back over what I have written to check for missing words, spellings and whether I have conveyed accurately, or believably enough, what I am trying to say. Having to brutally edit down what I have written. Sometimes having written several paragraphs, I have come back to them and reread them and realised I can cut out half the paragraph or sentence. Sometimes if what I have written is confusing or simply not clear enough, I have had to bite hard and delete entirely the whole section and start again. Starting again is perhaps the very hardest aspect and trial for an author. Having invested time, and real emotion sometimes, in a paragraph, or whole chapter, to then have to delete it and start again is a sad moment...but sometimes a very necessary one. Trying to be left alone in peace to lose myself in my writing is also hard. I have a small studio I escape to, but even then, there are usually many interruptions and distractions. I tend to, therefore, write in the evenings, often late into the early hours and many a night until the sun came up. But also being disciplined when outside the sun is shining and I am stuck indoors. To focus on the scene or information I am writing about. Keeping things real and accuracy and continuity are perhaps the hardest aspects of writing, especially such a lengthy story as Outremer. I had to write checklists I could refer back to so I did not miss out something I had said would be covered later. Even then I still missed out two elements by the time I got to the end of book 4, which I had to rewrite to incorporate the missing elements. Writing full time is a lonely existence in a lot of ways, but I am comfortable with that. The ability to travel anywhere and be anyone I want to be. But the greatest joy is when my writing touches someone. When it makes them stop and think...when it has had a positive impact and in some cases, as I am discovering, given the reader some answers and comfort...and hope. Never ever let anyone discourage you. Never take to heart comments made by others. Take advice as it’s given if constructive...but always trust your own deep inner voice. Do not be afraid to write what you feel, what you really want to say...so don’t sell yourself short by trying get approval or praise from others for your work, for if you do that, you simply set yourself up for disappointment and upset because you will never please all the people all of the time. Be prepared for harsh and sometimes downright nasty appraisals of your work no matter how good it actually may be. The Great Pyramid Decoded by Peter Lemesurier. I read this book in 1976 and it fired me with a passion to research deeper into the mysteries of our past, and ultimately the path I follow in life. The Peanuts (Snoopy books) by Charles Schultz come a very close second. So much he reveals in his cartoons are actually very deep and insightful about people and life and presented with great humour. To keep on writing for as long as I am able and provoke readers into action to look beyond what they think they know. To always keep researching and learn; for learning is neverending. Walking in the mountains of Scotland, Ireland and Wales, seeking out ancient sites. Any excuse to visit a castle or a ruin and I am there. I love canoeing in the Ardeche region of France, parachuting when I get the opportunity, micro-light flying and off-road biking to stay fit. Still working on Outremer series. Book four final edit underway. This will be followed by a factual book containing all the information in greater detail of the mysteries and esoteric codes contained within Outremer, titled The Secrets and Sons of Sion. Then I have a further book based on research into the discovery of several scrolls located in France in 2015 with sound templates and Templar connections, titled The Scroll. Once all of that is complete, I have a prequel to Outremer that reveals how some of the characters in Outremer first met up as well as other esoteric revelations. Outremer is available to buy now. To find out more about D.N. Carter, please visit the website. Have you been following the 12 Days of Clink Street blog tour? Let me know in the comments below!